Following Sunday’s article called Top 10 Undersized NHL Players, I decided to do the exact opposite and have a look at the NHL’s biggest and strongest players who can dominate the game with their size advantage over smaller and lighter players. These oversized jumbo players have always received extra attention from professional scouts and general managers during their junior and college years, but they haven’t always panned out as expected even if they were selected in the first round of their draft year. Everyone remembers Hugh “Huge” Jessiman (6’6”, 230 lb), drafted 12th overall by the New York Rangers in 2003, who only played two games in the NHL with the Florida Panthers in 2010-11. He was supposed to become the Rangers’ next power forward, but that did not happen! Now let’s have a look at the best oversized players in the NHL last season (since there is no season right now because of the lockout), who are all at least 6’5” and 200 lb. They can be dominant offensively, defensively and obviously physically. Whether you like him or not, the Slovakian tower has averaged 14 goals and 47 points per year since the 2004-05 lockout on the Bruins’ blue line. During that span, Big Chara has also averaged 101 penalty minutes a season while distributing punishing hits almost every night. 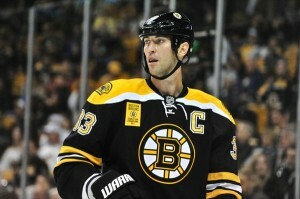 Just ask Max Pacioretty… Chara, 35, has also been nominated a Norris Trophy finalist for the 2010-2011 campaign. He is simply the kind of captain you want to build your team around. Coming off the best season of his career, Rinne finished with a stellar record of 43-18-8 with Nashville. The Finnish goalie who turned 30 on November 3rd, posted an excellent .921 save percentage along with a good 2.39 goals against average for the Preds. Along with Shea Weber, Rinne is the backbone of the franchise. Rinne is a very good hybrid goaltender who covers a lot of net thanks to his very lanky frame and his excellent puck-stopping abilities. The winger turned defenseman had his best offensive season as a rearguard with the Winnipeg Jets in 2011-12, notching 12 goals and 41 assists for 53 points despite missing 16 games due to injuries. Byfuglien won a Stanley Cup with the Blackhawks in 2009-10 after scoring 11 goals in 22 games by wreaking havoc in the opponent’s crease thanks to his big frame. The talented but overweight blueliner has a tendency to forget to train in the summer and to stay away from the refrigerator as seen here at Dave Bolland’s wedding. Two years removed from his best offensive season with the pea-shooting Minnesota Wild during which he scored 17 goals and added 29 assists for 46 points, Burns was traded to the San Jose Sharks in the summer of 2011. With Dan Boyle now in front of him in San Jose, Burns’ offensive numbers declined to a production of 11 goals and 26 assists for 37 points. Still, Burns hit the 200-shot barrier for the first time of his young career, which bodes well for the near future as his offensive output can only go up. Entering his prime at 27 year-old, the big rearguard is used in every possible situation, whether it’s on the power play, on the penalty kill, to protect a lead, or to initiate a comeback. One of the most underrated players in the NHL, Hanzal has been a key element of the Coyotes’ deep playoff run last spring. The two-way pivot does not post the best offensive numbers, but he always plays against the opponent’s top line and kills penalties. The perfect player for Dave Tippett’s defensive system, Hanzal recorded 8 goals and 26 assists for 34 points in 64 games for Phoenix last campaign, while maintaining an impressive +12 rating. If he can avoid the disabled list (he missed 39 games in the past two seasons), Hanzal should rebound offensively and finally reach the 40-point mark. The sophomore Myers is not overly physical, but he uses his size to create space for his teammates. After a stellar rookie campaign during which he scored 11 goals and added 37 assists for 48 points, Myers struggled in the last two campaigns. He finished with 37 points in 80 games in 2010-11, and only managed 23 points in 55 games last season. Unfortunately, a foot injury bothered him all season long and slowed down his professional development. Bigger defensemen always take more time to develop, so it will take a few more years for Myers to grow “into his frame” and become more efficient with and without the puck as he has been prone to turnovers and bad positioning at times. Hedman was maturing slowly and steadily into a very complete defenseman under the wing of fellow Swede, Mattias Ohlund. However, the latter missed all of last season because of a possible career-ending knee injury. As a result, Hedman’s offensive production stalled in 2011-12, notching 5 goals and 18 assists for 23 points in 61 games. While these are solid numbers for a blue liner who is not mainly recognized for his offensive abilities, the Lightning was expecting more from the Swedish rearguard when they drafted him 2nd overall in 2009. The 22 year-old has to shoot the puck more and join the rush more often to support the Lightning’s talented group of forwards. Stolen from the Atlanta Thrashers in exchange for overrated defenseman Alexei Zhitnik, Coburn has been a steady presence on the Flyers blue line over the last five years. When Chris Pronger went down with a concussion last season, Coburn took more offensive responsibilities and managed to improve his offensive numbers, scoring 24 points with a +10 rating in 81 games. The lanky rearguard has been fairly durable for the Flyers in the past five years, missing only eight games. At the age of 27 and with the uncertainty surrounding Chris Pronger’s future, Coburn will be a key element of Philly’s defensive brigade for the years to come. Coming off his most-disappointing offensive season since 2006-07, Antropov recorded only 15 goals and 20 assists for 35 points with the Jets last season. Once a constant offensive threat with the Toronto Maple Leafs and the Atlanta Thrashers, Antropov’s offensive output has been declining steadily in the past three years. In 2009-10, he had a career-year, scoring 24 goals and adding 43 assists for 67 points with Atlanta. If the 32 year-old Kazakh manages to be more consistent on a nightly basis, he might regain his confidence and start producing at a higher pace in Winnipeg. Zubrus had his best offensive season with the Devils in 2011-12, registering 17 goals and 27 assists for 44 points, while posting a +7 rating. The versatile forward proved to be a key contributor to the Devils’ long playoff run last spring when they lost in six games to the Stanley Cup winner, the Los Angeles Kings. 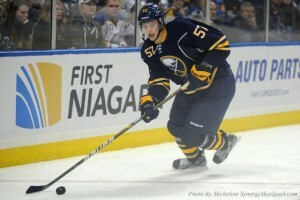 In 24 games, Zubrus scored 3 goals and 7 assists for 10 points, playing on the Devils’ third line. The 34 year-old veteran recorded 40 points or more six times during his 15-year NHL career. *Chris Pronger was not included in the list because of the uncertainty surrounding his future in the NHL (concussion symptoms). Honorable mentions: Jason Arnott, Brian Boyle, Hal Gill, Jeff Schultz, Michael Rupp, Dave Steckel, Henrik Karlsson, Ryan O’Byrne, Andy Sutton, George Parros, Jared Cowen, Andrew Alberts, Ben Bishop. Think I missed someone or believe the above ranking is incorrect? Drop me a comment to express your opinion! You can also follow me on Twitter for information and updates on the NHL!